I must confess that in most cases my taste is not sophisticated enough to discern Syrian from Cyprian latakia, although the Syrian does taste slightly smoother………but oh how I miss GLP Mephisto! I never got the chance to smoke any of the Syrian blends of mr. Pease.. 😦 You are a lucky man! You ever smoked Abingdon? Well, that is Cyprian latakia powerhouse. Cyprian latakia is more noticeable, assertive and a bit sweeter. Syrian indeed is much more smooth. 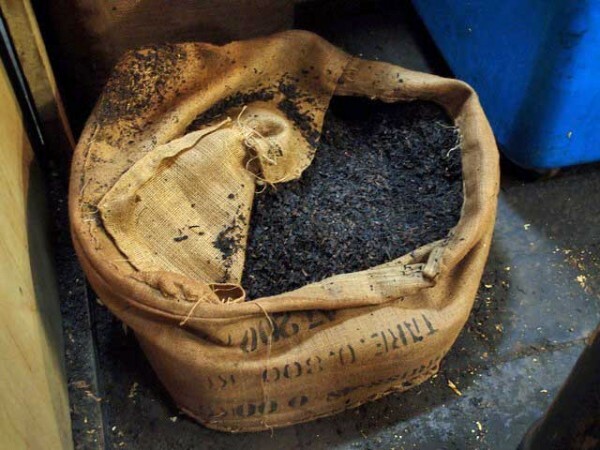 Any info regarding syrian latakia in the blends produced by Schürch Tobaccos? 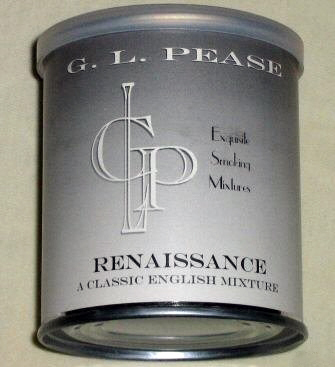 This is by far Hans’ most successful and popular English mixture. 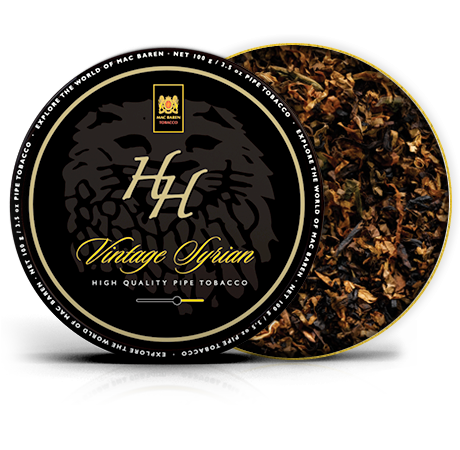 Fans of this type of tobacco all over the world swear by this mixture: Two Virginias, including an extremely rare one, a generous portion of Syrian Latakia, and a touch of Louisiana Perique. So my guess is he ran out of Syrian latakia. If you really want to be 100% sure you get the real Syrian latakia buy the blends from McClelland that have it. Thank you for the swift answer. I recently bought a tin from Schürch it is only marked “Sob.” (short for Sobrani I guess). I was curious if it contains syrian latakia. I enquire further and post back here if I find something out. Ah, Sob is the tinned version of Torina. And Torina is a substitute for Balkan Sobranie 759. That tobacco never contained Syrian latakia. Balkan Sobranie Smoking Mixure, the white tin, once contained Syrian latakia. So I feel pretty safe to day that your Sob tin does not contain the Syrian dark leaf. I see. Thats why I could not find a review of Sob. on tobacco reviews.com 🙂 Alright. So no syrian in that one. But it is a wonderful, truly fantastic tobacco nevertheless. Happy to live 100 m from a tobacconist who carries it 🙂 I’ll start looking for the offerings from McClelland regarding syrian latakia. You are welcome, happy puffin’! For What It’s Worth ! I’m now wondering if this is discontinued because Kohlhase,Kopp und Co. has finally used up their supply of Syrian Latakia. Hello Jim, thanks for your message. McConnell’s Pure Latakia used to contain Syrian latakia years ago, but then they removed the “Syrian” when their stock was gone. Although on their site they list a tin which still has “Syrian” on it.. They sold it afterwards as just regular (Cyprian) latakia so why they choose to discontinue it, no idea.. Oh, on their site they say that in some blends is still Syrian latakia but that is bullsh*t in my opinion. If you have smoked McClellands 3 Oaks Syrian you know the difference.. According to the tin description ‘Wellauer’s Latakia’ (not te be confused with Latakia mixture) also contains Syrian leaf. I don’t see it listed in this wonderful blogpost. I bought the tin in 2014. Is this ‘the real thing’? Hello Robbin, I have no idea if the latakia in Wellauer’s Latakia is Syrian. According to one of Planta’s export managers they do have a bit left of Syrian latakia but I really am not sure if it is the real stuff.. It is a grey area so to say.. So for now I added the blend to the list, benefit of the doubt. If you really want to know it, buy a tin of McClellands 3 Oaks Syrian and compare that to the Wellauer. Syrian latakia should be less assertive, softer. You’re right. That’s the only way to know for sure. Do you know approximately when DAN ran out of Syrian? Hello Eric, you mean Danpipe/DTM? I mentioned it in an update above, in 2013. But perhaps earlier. I visited the factory in 2012 and at that point they only had Cyprian latakia. Maybe they had some stock in tins left. Hi Arno – I have been reading the HH Vintage Syrian PipesMagazine forum discussion and your article above with great interest. I have smoked the blend for the last 8-9 years, always ordering the one pound bags. In September 2015 I noticed that the taste and appearance of the tobacco had noticeably changed. The color was lighter and the taste was sharper. I thought that perhaps something had changed in MacBaren’s blending. I called the shop that I had ordered from and asked about the change. They in turn asked their distributor if anything had changed in the blend. The distributor assured them that nothing had changed. But it was obvious to me that the 2015 production was not the same as in prior years. Your efforts have provided what Paul Harvey would have called “the rest of the story”. It was good of Mr. Jensen to contribute his knowledge to the discussion. It will be interesting to see if a few more years of aging will soften the more recent incarnation of the blend. Thanks again for the interesting investigative work. Hello Bill, thank you for reading my blog. I am glad I was not the only one who noticed a difference (besides my source). I believe that we Will always have this Very special tobacco between us. 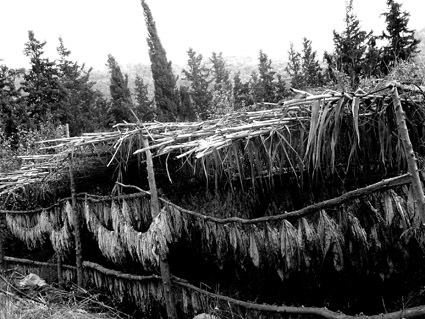 I AM anexo enthusiast of Latakia Blenda, sinceramente 1970 décad. As análises Agronomic Engineer, I AM sure that producers Will find the right está to continue offering this unique product for ALL of us. What about Schurch Onyx or Wellauer’ Latakia? I have 16oz rather fresh Onyx and it smell more like Syrian, not Cyprian Latakia. Trying to get Wellauer Latakia as well. Hello Bublik, I have no real proof regarding Wellauer but if you just look at the facts (in Syria no latakia has been made for yeeaaaaars and even the mighty MacBaren can’t get the stuff anymore) you have to conclude that there is no real Syrian latakia left. But mighty MacBaren needs a looooot of Syrian to start the production! They won’t be interested in small batches. Tiny brands like Schurch or Wellauer who sell only locally in Switzerland could still have some Syrian and will stop production when it’s out.